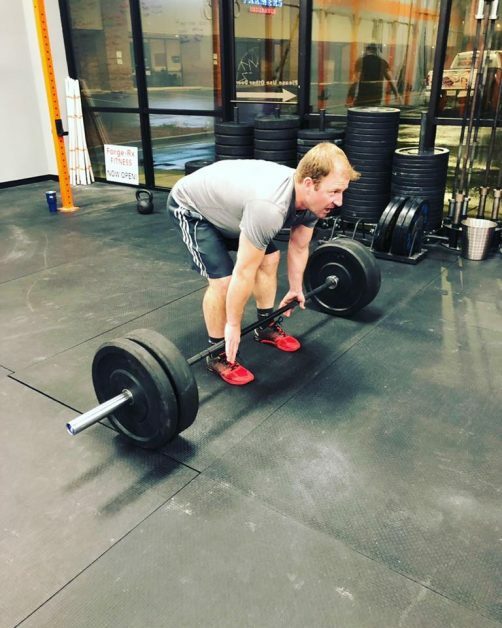 “I started at Forge Rx about 5 weeks ago. I had done Crossfit 2 years earlier and had since worked out at home inconsistently. I had reached a point that I knew I needed to get back to a regimen I just didn’t know what. I have to say I made a great choice in choosing Forge Rx. Another choice I had to make was what time I would go and which trainer would fit what I want best. Forge Rx has quite a leg up over any competition in the area by having Brent Morris as a trainer. Even though there are several people in our class I always feel like I have a personal trainer. Brent pays attention to detail of your movements, the amount of weight you use or should use, right down to knowing when we have our next exercise coming up and he helps place our equipment for us as needed. He not even focuses on the exercises we do but it clearly shows that Brent takes pride in Forge Rx and it’s equipment. I see him cleaning mats, organizing equipment and pays attention to the demographics of the people in each class so he makes sure he plays appropriate music. On top of that he carefully demonstrates each movement so we know exactly what we should do and how we should do it to maximize results. I am thankful Forge Rx has chosen to locate in our community and I am extremely thankful Brent is my trainer. Brent is the epitome of going above and beyond the call of duty.